Working with our partners at Windham Mountain we have streamlined and automated rental check-in to save our posse time and frustration. Purchase a package with rental before noon the day prior to your trip to take advantage of our exclusive express check-in: your lift tickets, gear rentals, and any lesson vouchers will be waiting for you at a separate express counter in the rental area. Your Urban Sherpa leader will confirm your express status when boarding the bus in the morning. 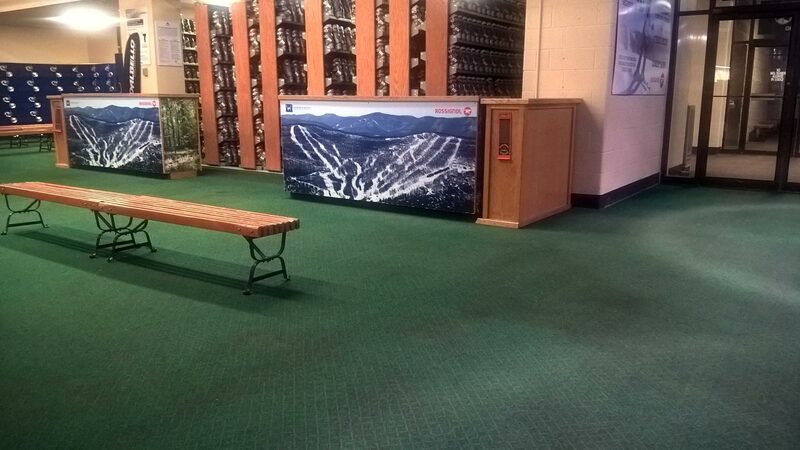 Upon arrival at the mountain, you won’t have to stand in line at the computer terminals or wait for tickets, lesson, or rental chits. Walk right off the bus, proceed directly to the express counter at the rental area to collect your tickets, rentals, and lessons. Skip the lines, try on your boots, grab your board or skis, and head out to the mountain for first tracks or an early lesson. Express check-in is only being offered at Windham Mountain, so get ahead of the crowd. Gather your posse and plan your trip early—it pays off! By subscribing to our newsletter, you'll hear about the latest happenings at Urban Sherpa Travel, including new events, offers, tips, and other helpful news and information. We respect your privacy and will never share your email address with anyone. You may safely unsubscribe at any time.